​Digital screen for advertising purposes are one of the beneficial ways to spread the messages. This is because LED screen advertising will make the brand stand out. The display projecting colourful illustrations captures the attention of the people around. The LED advertising screen support the business by attracting more customers. ​The significance of LED advertising is its eye-catching capabilities. The bright messages will be at the attention of the passerby. The LED screen that is placed on the top on top of buildings and bridges is much more visible to the public. 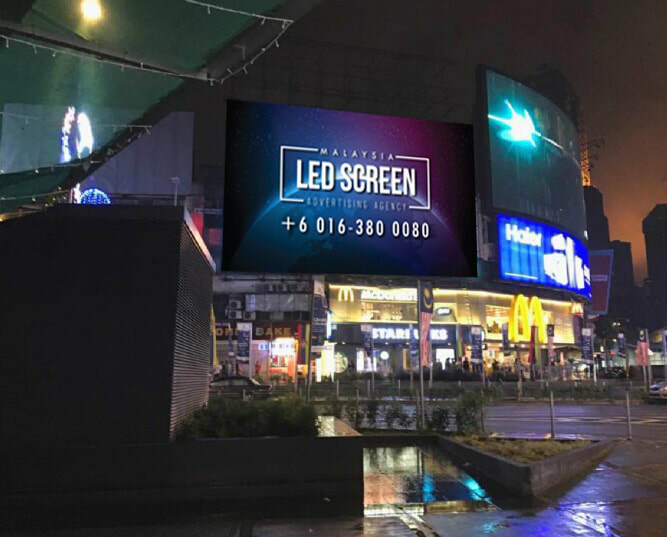 Taking the advantage of using the LED screen advertising will increase customer base. The LED screen that is mounted to the building gives impact impression as it is located on the four-way intersection that is bustling with people. Not only that, the screen is above McDonald and Starbucks therefore, people with the intent to go there will see the screen and be aware of it. People taking the monorail will also the sign as it passes by above the intersections.